Kanu is considered the leader of Indigenous People of Biafra (Ipob) and is the director of the London-based radio station Radio Biafra, which the Nigerian government has deemed illegal. Ipob and other groups advocate for the independence of the Biafran territories, which separated from Nigeria in 1967 and were re-annexed to the African nation in 1970 following a civil war that killedbetween one and three million people. 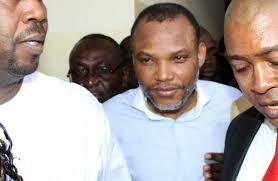 Some protester accused the police of shooting on the women who were calling for Kanu's release. 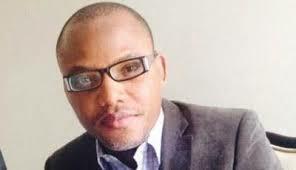 This is not the first time that pro-Biafrans have accused authorities of being violent. The policedenied the claims, while rights group Amnesty International said in an exclusive report to IBTimes UK that there is "credible evidence that pro-Biafran separatists in Nigeria are targeted by police".